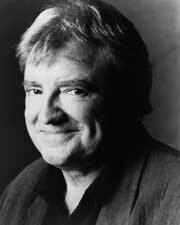 The title is one of Henry Lawson’s famous poems set to music by famous original “Bushwhacker” Chris Kempster. The show is steeped in Australian colonial history set in the after math of the Shearers Strike in 1891 where the shearers were defeated. Not so much about the strike as the spirit of the strikers. The songs are of Australian folklore our songs with tunes from widely different sources with words to ground them in Australia. Under the direction of Tony Guyot (FAMS, Genesian Theatre) and musical direction of Deb Jones (Solidarity Choir) and starring the talents of Lisa Stewart and Jareth Norman. 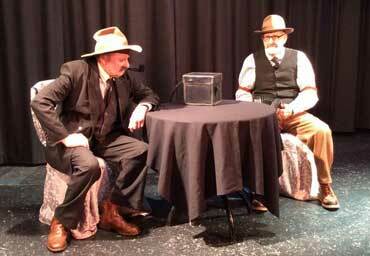 Created by Cullen and Fahey ‘Dead Men Talking” has received rave reviews and sold out shows wherever they have taken it. Now we are excited to present them here for the first time in the Sutherland Shire. They will make you laugh, cry, think and feel as they take you on a journey through the lives and poetry of these most famous of Australian wordsmiths. 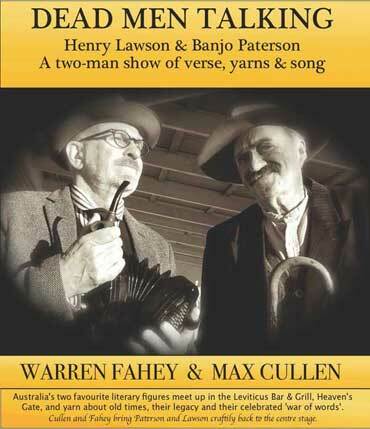 Renowned Australian actor Max Cullen plays Henry Lawson opposite Warren Fahey's Banjo Patterson in the play they have written called 'Dead Men Talking'.